Rmax is fantastic. Whenever I book him I’m always confident our guests will give him rave reviews! What?! I don’t know how that’s possible. That was great, thank you so much! That was really amazing. I kept looking around at everyone in the audience and they were just stunned. Thank you so much! Rmax was AMAZING. Totally exceeded all expectations. I think just about everyone left with his card. Can’t even explain what a hit it was. Just wanted to write and thank you again for creating a truly one-of-a-kind experience for our team today. What you did was simply amazing and mind-boggling and challenged our understanding of what is possible. You have a gift and we are honored that you came out to Las Vegas on such short notice to share your gift with us. I don’t understand. How in the world did you do that? We were just talking about how great it was to have to you. You are lots of fun and extremely professional — very appreciated! You helped make our party great! Rmax is beyond AMAZING! He has an incredible talent and is great magician & entertainer. He added so much fun to our event! Looking forward to working with him again. ​I’ve worked with dozens of magicians and mentalists and Rmax is one of the best. A day after his performance our attendees were still talking about him…I would highly recommend him and look forward to booking him in the future. Rmax was great and was enjoyed by all our guests. He was a pleasure to work with. I just wanted to say thank you for helping us throw an amazing party! Everyone loved your show and was talking about it in the office the next day. I will definitely keep you in mind for any future events! Working with Rmax for our wedding was a great success from the first moment on! The whole organization and administrative stuff was so comfortable and easier than we could ever had imagined. We have heard of Magic Castle’s great reputation before, however Rmax surprised us and our guests over and over with his incredible magical arts! A truly wonderful person with incomparable magic and entertainment skills… We’d recommend Rmax over and over to experience great magic for you and your guests! Man that was a blast! Everyone was ranting and raving about the magic. Thanks for making the whole wedding that much more exciting and eventful! What a talent, and consummate professional! Our wedding guests were totally entertained and had a great time with Rmax. 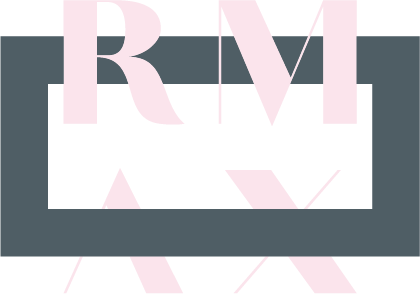 Even more, Rmax was responsive, timely, and incredibly respectful throughout the whole process. Highly recommend working with Rmax! Rmax — thank you so much! Our friends and family came up to us and were blown away by you! We had Rmax perform at our Holiday party and everyone was amazed by his performance. It was truly an outstanding show. Rmax exceeded all expectations! I hired him to perform at my dad’s 89th family birthday party, and he gave an unforgettable performance that was perfectly paced, wildly entertaining, and engaged each family member individually into the magic! He remained responsive to each message I sent regarding coordination and details about the party, and was punctual. I highly recommend this amazing magician! Los Angeles magician for hire Rmax Goodwin performs nationwide and most often serves San Diego, Orange County, San Francisco, Seattle, Portland, Atlanta, and New York City.